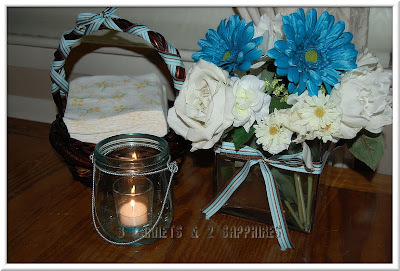 If you follow me on Pinterest, then you know that several DIY tinted glass projects have caught my attention, especially ones involving mason jars. 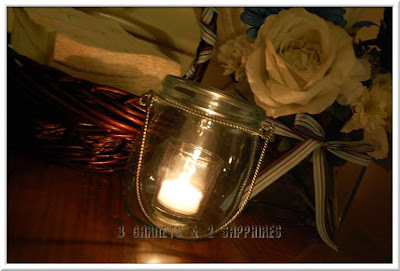 Making my own tinted glass vases or candle holders is one of those "someday" projects. 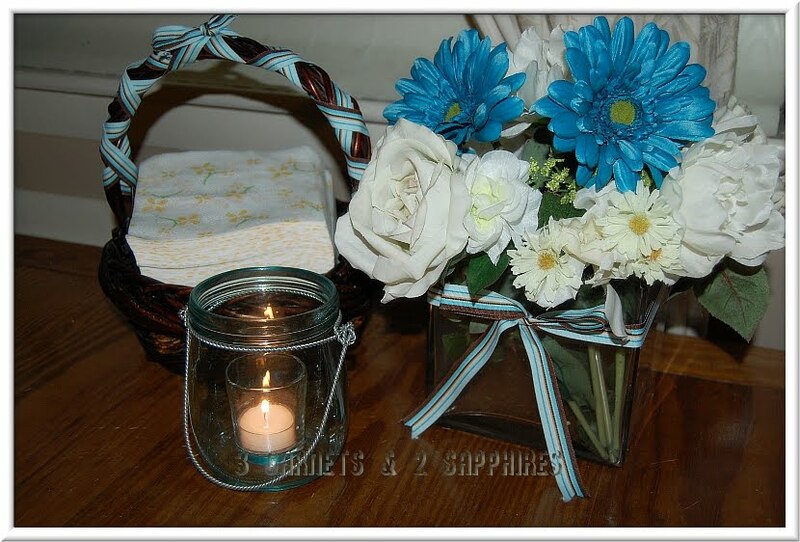 So, when I saw these tinted glass candle holders in several Spring pastels at my local Target store, I could not resist but to buy the blue one. It matched what I already had on my kitchen table and it was only $6.99. I love how $6.99 made our room feel that much cozier. It never ceases to amaze me how small changes like this one will satisfy my need to redecorate for awhile. And, I did not have to wait until I had time to learn how to tint glass myself!